This election season is going to be one for the record books. Not since President Obama first ran for president have such a large number of people moved to exercise their right to get out and vote for who they think should be our next elected leader. In this article were looking at the race for the 31st Congressional District. The person currently holding that seat is Pete Aguilar of Redlands. Pete Aguilar is finishing out his first term as a Congressman and has been labeled the as someone who will be one and done by the website 2016donkeys.com the website lists political leaders that have failed to represent the people. The list of people include “Freshmen Graham, Ashford and Californian Pete Aguilar have all been nominated for “The Brad Schneider: For most likely to be one-and-done,” a reference to the one-term Illinois Democrat defeated in 2014″. 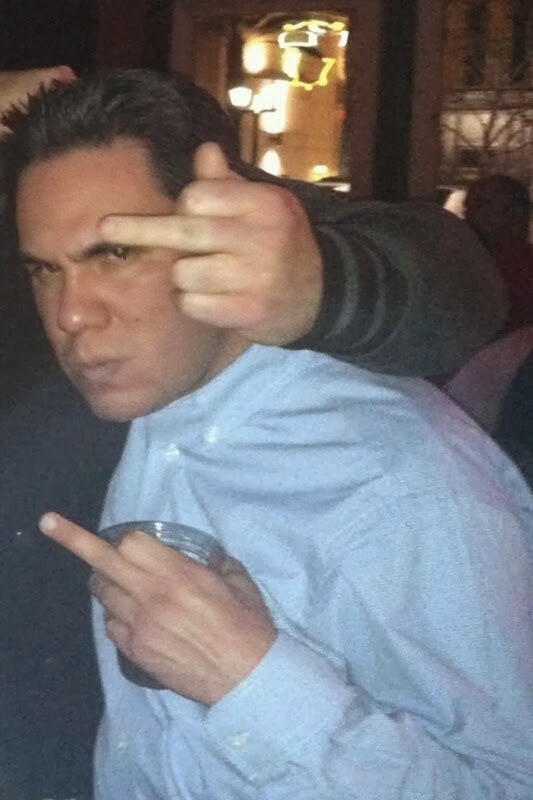 Pete Aguilar has done very little to work for the people of the 31st District. He has worked hard to be a rubber stamp for the Democrat establishment that has sold away our safety and freedom without any concern for the consequences. Below are a list of issues voters find important and how Pete Aguilar stood on each issue. No Rate Regulation of Broadband Internet Access Act – This act was penned to keep the Obama administration from allowing major internet providers to levy higher fees on people using the internet Pete Aguilar stood against providing affordable internet and with the greedy lobbyists. 1) If an abortion results in the live birth of an infant, the infant is a legal person for all purposes under the laws of the United States, and entitled to all the protections of such laws. 2) Any infant born alive after an abortion or within a hospital, clinic, or other facility has the same claim to the protection of the law that would arise for any newborn, or for any person who comes to a hospital, clinic, or other facility for screening and treatment or otherwise becomes a patient within its care. Requires the President to establish the Wildfire Suppression Operations Account in the event of a major disaster for wildfire on federal lands (Title IX, Sec. 902). Authorizes the President to appropriate funds from the Wildfire Suppression Operations Account to conduct wildfire suppression operations after previous funds have been exhausted (Title IX, Sec. 902). Authorizes the Secretary of Agriculture to issue a “categorical exclusion” to certain forest management activities reducing the risk of wildfire, including, but not limited to, the removal of juniper trees, conifer trees, or invasive weeds (Title I, Sec. 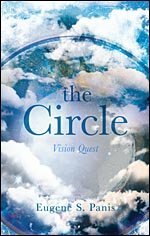 106). The requirement to report the project’s irreversible resource commitments. Requires a plaintiff who challenges a forest management activity to post a bond or other security equal to the anticipated costs of the action estimated by the Secretary of Agriculture (Title III, Sec. 302). Requires the court to return the bond or security to the plaintiff if the court rules in his or her favor on the action challenging the forest management activity, plus interest from the date the bond was provided (Title III, Sec. 302). Prohibits a court from issuing a restraining order or preliminary injunction with respect to a decision to conduct a salvage operation or reforestation activity in response to a catastrophic event (Title II, Sec. 203). Highway and Transportation Funding Act of 2015 – Pete Aguilar voted NO on expanding money for Americas crumbling transportation infrastructure while representing a district that is in dire need of transportation dollars. Enforce the Law for Sanctuary Cities Act – Pete Aguilar voted NO on protecting Americans from the dangerous illegal aliens that come here not looking for a better life but to make victims out of the citizens of the USA. Sanctuary cities have shown to be a safe haven for criminal illegal aliens that look to further victimize good honest people. Pete Aguilar has done very little to help the people of the 31st District find solution to the issues they face on a day to day basis. He is very good though at flying his family to member only parties on the white house lawn and flying home to take pictures and receive awards from the many governing boards that only operate to make the communities life harder. Below are a few videos of Pete in action here at home. Below is a message from the Director of the Office of National Drug Control Policy to local prevention providers. This data and reports further confirm what prevention providers have been warning ever since the lie of Medical Marijuana began to take shape youth use is on the way up. One area where prevention providers have been looking to get to is kids in Elementary and they have been getting resistance due to the thought that these kids are to young to be involved in drug use. This study show a major increase in drug use among youth 12 and older meaning kids in 6th grade are being introduced to drugs. Another thing that the data shows is a driving force behind an increase in youth use is the widespread use in adults. This matches what the Rialto Community Coalition found in February during their Strategic Planning Session was that one of the biggest reasons youth use drugs especially Marijuana is because of the lax attitude from adults. The investigative reports from David Goldstein on medical marijuana dispensary’s acting as a hub to get Marijuana to youth should be an eye opening period for parents. We need to support local organizations that are taking this issue seriously and local candidates that value youth health over money from the Pro Drug Legalization Lobby. On of these organizations is the Rialto Community Coalition that meets the first Tuesday of the month from 6-7:30pm at Fire Station 202 at 1700 North Riverside Ave. Another group working locally and more regionally is Inland Empire Youth 4 Today a local network of prevention providers and business owners looking for innovative ways to engage and grow tomorrows leaders. Today, the Substance Abuse and Mental Health Services Administration’s (SAMHSA) released the latest National Survey on Drug Use and Health (NSDUH) report which shows progress in reducing some forms of substance use – especially among adolescents. Substance use levels in many areas, however have remained relatively constant. SAMHSA issued the 2014 NSDUH report on mental and substance use disorders as part of the kick off for the 26th annual observance of National Recovery Month. Recovery Month broadens public awareness to the fact that behavioral health is essential to health, prevention works, treatment for substance use and mental disorders is effective, and people can and do recover from these disorders. With regard to substance use, the report found some areas of progress, particularly among adolescents. For example, the percentage of adolescents aged 12 to 17 who were current (past month) tobacco users declined by roughly half from 15.2 percent in 2002 to 7.0 percent in 2014. Similarly, the level of adolescents engaged in past month illegal alcohol use dropped from 17.6 percent to 11.5 percent over the same period. The level of current nonmedical users of prescription pain relievers decreased from 3.2 percent in 2002 to 1.9 percent in 2014 among adolescents aged 12 to 17. Marijuana continues to be the most commonly used illicit drug. In 2014, roughly 8.4 percent of Americans age 12 and older were current users of marijuana – up from 7.5 percent in 2013. Marijuana use is especially growing among those aged 26 and older – from 5.6 percent in 2013 to 6.6 percent in 2014. The percentage of adolescents who were current marijuana users in 2014 (7.4 percent) was similar to recent years. Although the survey shows nonmedical pain reliever use continues to be the second most common type of illicit drug use, the percentage of people aged 12 or older in 2014 who were current nonmedical users of pain relievers (1.6 percent) was lower than in most years since 2002, and about the same as in 2013. However, current heroin use increased from 0.1 percent of the population age 12 and older in 2013 to 0.2 in 2014. Overall, the use of illicit drugs – including marijuana – among Americans aged 12 and older increased from 9.4 percent in 2013 to 10.2 percent in 2014. This was driven particularly by the increase in adult marijuana use. The data released today show some signs of progress, including lower levels of nonmedical prescription drug use and teen alcohol and tobacco use; however, we still have significant challenges to address. We know that evidence-based prevention efforts are the most effective way to reduce drug use and to support the roughly 90 percent of American youth who do not use illicit drugs. This Administration will continue to expand community-based efforts to prevent drug use, pursue ‘smart on crime’ approaches to drug enforcement, increase access to treatment, work to reduce overdose deaths, and support the millions of Americans in recovery. 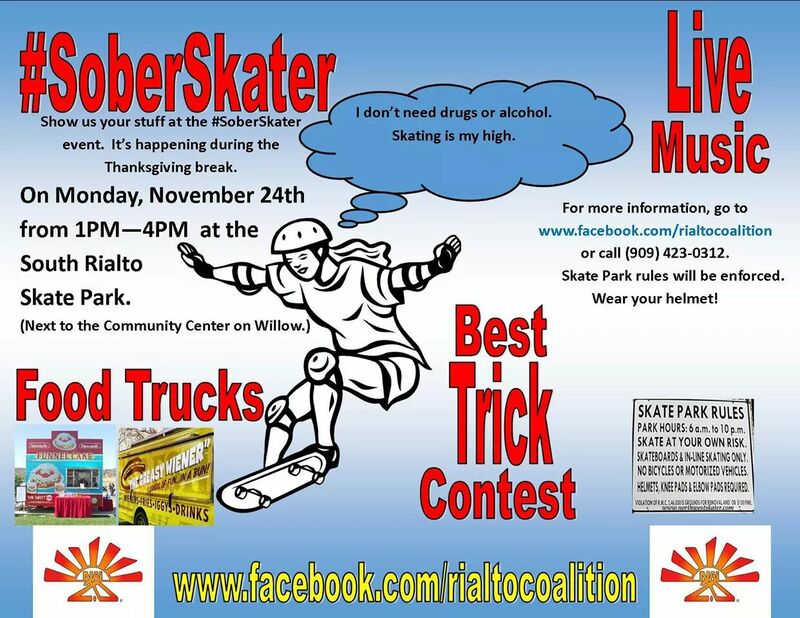 In an effort to help promote healthy lifestyles in Rialto for area teens, the Rialto Community Coalition will be holding a Substance Abuse Prevention Event at the Skate Park on Willow Avenue next to the Johnson Center on November 24, 2014 from 1PM – 4PM. “Meeting teens where they are is vital to successful prevention methods,” said David Phillips a Rialto Community Coalition member. Many times we see Skateboarders as bad kids or trouble makers but once you get to know them and learn more about skateboarding you can see all the talent and potential that lies within”. As the Neighborhood Watch Captain of the Flores Park Group and being involved in many different other community groups, I understand that it is vital to reach out to our youth, especially starting with the skateboarders. There was a stretch where the skate parks were having issues with drugs and gangs. The key to safety was getting adults in the community to invest in a safe atmosphere for teens to skateboard. It takes more that money it takes personal time”. The Rialto Community Coalition hopes to add to the success of their other public forum at Eisenhower High School called “Don’t Go There” where they used exhibits, media, and a powerful presentation from Ray Lozano to highlight the dangers of using drugs and alcohol. At the upcoming #SoberSkater event, participants will be asked to sign a pledge that states that they choose to be a Sober Skater. Also, the planning committee chose the name #SoberSkater to help attract teenagers on social media using hashtags since this is the way teens interact and seek out information on social media sites. The event will include a semi-pro skateboard team called NAI (New Age Intelligence), gourmet food trucks, live music, vendors, and resource providers. There will also be a best trick contest. 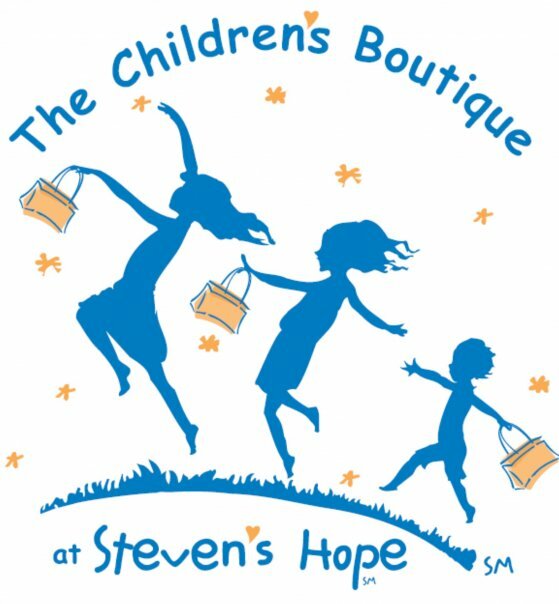 For more information, visit their Facebook event page at the link below. Are you going to fall for the same old tricks, only to find our city and your wallet in the frying pan? I want everyone to pay close attention to cities like San Bernardino, Colton and Fullerton. We have a wonderful police and fire department. From everything I’m hearing both sides are doing their best to come to the table and negotiate to not only help the council and staff balance their budget but also still provide the community with the service we need. We have a police chief that takes the time to listen to the community and a command staff out their doing their best to put the community’s concerns as a top priority. Our chief of police is an out of the box thinker. By using grant writing abilities and technology we have the ability to see long term crime prevention. They do everything you can ask of an agency that plays by rules the criminals are not bound to. I have found that when left alone and allowed to talk to the community our staff is open and honest, but once our council members find out their talking to you the communication shuts down. There is no reason we shouldn’t be able to ask questions of staff, staff is well aware of what confidential council just loves their CLOAK OF SECRACY. Voting for an incumbent for council is not going to work this go around, they only started acting like the councilmember’s we need over the last month because of November 4th the election. There are 3 people being supported by our fire and police agencies only one deserves your vote. City Councilman Ed Palmer is up for re-election and Ed Scott is running for Mayor neither deserve a vote “IN MY OPINION”. Shawn O’Connell has a strong desire to see more openness in city government. One shouldn’t to use the threat of a freedom of information act request to get information from the city or strong arm the city government by going around and over their heads to get information that should be available to everyone. Call the police on me and make up lies about crimes I didn’t commit. Call me into meetings and ambush me with other council members and the Captain of the Police Department. Try and create a feeling of distrust amongst people I know and deal with. Accuse me of being a liar stating I never spoke to people I directly quote. When I have issues with graffiti she steps up and begins to contact the people that handle the specific area in question. For Example – When GPC and the city were arguing over who was responsible to clean graffiti on the freeway construction staging area on the corner of Ayala and the 210 freeway. I called on her to use her to use her relationship with Caltrans to move them into cleaning up and vacating the lot. It took work but now there is nothing to tag on that corner because it’s gone. She continued that progress by letting Caltrans know that graffiti on our freeway sound walls needs to be removed quickly. No other city sees this quick response in our area except for Rancho Cucamonga that’s because their council cares about their cities impression from the main vein of commerce on their north end. My conversations with Mrs. Robertson are not hostile in nature and if I am the one upset she gives me the feeling she is there to find a solution to the issue not push my buttons. People will tell you she isn’t good because of the whole outsourcing our police issue back in the 90’s. News flash no one is letting that happen & talk to any of the council member there now and tell me you don’t hear that issue is in the back of their minds? Even the councilman running against her ALWAYS reminds me how much of our budget the Police and Fire consume each year. It’s not what you say it’s how you say it that speaks to the true meaning. Now to the three cities I first referred to. Colton a small city with big city problems. Their budget ran out of control so bad they began to gut their city workers starting with cutting their police force by a third!!!! Colton in my estimation & by the looks of their stats on www.crimemapping.com is rife with crime and no real way to combat it. With no more RDA like other cities how will they continue to attract businesses to their city to support a strong tax base. To top it all off their chief of police retired and their mayor passed away, the city hired a new chief and replaced their mayor with his widow which was a choice that was without controversy. San Bernardino, where do I start????? Bankruptcy, Childish City Government, Poor Spending Practices or Crime and murders and homicides soaring through the roof, paying millions of dollars to attract business in a city that isn’t safe, a era of public safety that provides poor, poor service yet gets upset when the community. (A) Questions them and (B) asks them to help with their pensions so that the city can climb out of a hole. A hole created by runaway mayor and council by negotiating for an endorsement in the next campaign instead of doing a good job for the community. The article below is from the SB Sun Newspaper and shows one of these big babies in council asking the corrupt city attorney to investigate a citizen for telling him that if he voted to not allow the city to vote on San Bernardino Being a Charter City, he would begin a recall campaign against him???????? Well if this is the case call the police lock me up and throw away the key. I have been ridding Rialto’s Council and Mayor for months over their decision to outsource our water operations and create a bad financial deal. I told them you vote for this deal at your own political fate. I meant what I said, and I said what I meant. SAN BERNARDINO – Attorney Tim Prince told Councilman Chas Kelley he would pursue a recall if and only if Kelley voted against putting charter repeal on November’s ballot, Prince said Tuesday. The District Attorney’s Office received a complaint Tuesday and is investigating, said spokesman Chris Lee. Kelley said he considered the threat to be an attempted bribe. “Someone was trying to coerce my vote, and that’s inappropriate, unacceptable, and I made that quite clear yesterday,” he said on Tuesday. That probably wouldn’t apply to a threat to do something that is legal, said Jessica Levinson, a professor at Loyola Law School. Prince gave Kelley a notice of intention to circulate a recall petition just before discussion began on whether to add a ballot measure to repeal the city’s charter. Kelley, whom Prince said was a swing vote, joined a 4-3 decision not to put charter repeal on the ballot. The Grand Jury’s 2011-12 report criticized the construction of the Verdemont center for not having a certificate of occupancy, initial building permits or proper inspections and for construction that didn’t meet required standards. The report also found city staff “had a general lack of understanding of the building requirements,” but doesn’t mention Kelley or other elected officials. Kelley said he agreed with the Grand Jury’s recommendations, but the errors were made by city staff whom he said hadn’t built a community center since the 1980 s.
Prince said he had no regrets and was moving forward with petitions to remove Kelley from office and put charter repeal on a later ballot. Several council members, including those who said charter repeal should be on the ballot, said Prince’s actions were unacceptable. FULLERTON was most recently in the national spotlight over the Thomas Kelly case where a man died because after his encounter with some of their officers. Fullerton had a massive recall election, removed bad officers and the Chief of police. They made big changes to their use of force policy and used a PR campaign to show the community they were serious about changing the publics face of their department. So now the city council has asked the Orange County Sherriff to put together a total cost estimate to take over police services. Even though they split the vote to stall this venture this is one of those issues once the cat is out of the bag there is no going back, and this is an issue that is full of contriversary. FULLERTON, Calif. (KABC) — The Fullerton City Council was expected vote Tuesday on whether to begin a process that would eliminate the city’s police department and have the Orange County Sheriff’s Department take over. The city council, which recently welcomed three new members after a recall, says the issue is one of money. Two council members said operating the police department costs tens of millions of dollars, so allowing the county sheriff to take over would save the city a lot of money, especially in management expenses. The Orange County Sheriff’s Department already provides services to other cities in north Orange County, the most recent of which is Yorba Linda. However, there is speculation that the move is in response to the death of Kelly Thomas, a mentally ill homeless man who died after a violent confrontation with police last July. Many of the council members who support dismantling the police force have been sharp critics of the department. Mayor Pro Tem Bruce Whitaker maintains cost is the true concern. “Had the Kelly Thomas incident not occurred, I believe it would still be our responsibility to be looking at these costs,” he said. With the city’s expenditures increasing by 9 percent and revenue only increasing by 1 to 2 percent over the coming years, it makes financial sense to cut the department. Should the police department be cut, about 95 percent of Fullerton’s cops would still be able to serve the public as sheriff’s deputies. Whitaker says now that three former council members have been recalled, it will be a lot easier for the city to look at the budget more objectively. “The city is shouldering many lawsuits at the moment, including that one from [father of Kelly Thomas] Ron Thomas. And there was an earlier settlement of $1 million to Kelly’s birth mom,” said Whitaker. Fullerton police officials say they will abide by whatever the city council decides, but they also say public safety is more than just about dollars and cents. Some Fullerton residents like Scott Darrah are for the idea of allowing the sheriff’s department to take over. “As long as they get the corrupt people out and get the right people in and do the right job, that’s really all that matters, as long as we feel safe,” he said. 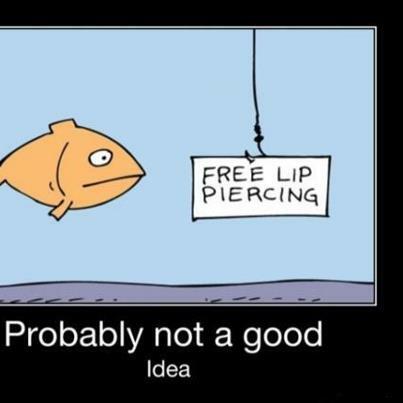 Others are not so keen on the idea. “They’re doing a pretty good job, I mean they realized they did a mistake and they got rid of the people, so I think we need to keep the police, I mean it’d be ridiculous,” said Susan Montoya. The president of the Fullerton Police Officers’ Association said he thinks the move is purely motivated by politics. He also said the entire department took a pay cut last year, and he hopes the city will honor a contract it has with the department that lasts through 2015. Fullerton’s police department, which is about 100 years old and is one of the oldest in the nation, has undergone major changes in the past year. The police chief retired, three officers quit and two officers have been charged in Thomas’ death. 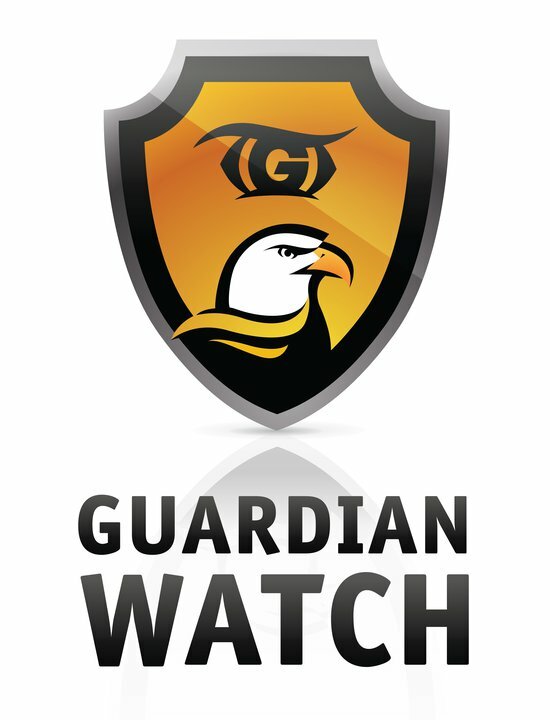 Below is an article a community in San Rafael, CA that by using this app and a strong Neighborhood Watch they are directly effecting crime in their community. After five months and three community meetings, the Terra Linda and Marinwood Neighborhood Watch Program is helping officers solve crime, according to one of the group’s organizers. Since the creation of the neighborhood watch program in December 2011, the number of calls dispatchers received has increased and homeowners are feeling safer, said organizer John Buckley. Dispatchers at Tuesday’s meeting told attendees that the neighborhood watch group’s calls had a hand in helping to catch three suspected burglars in early April. Two Terra Linda High School students and one graduate were arrested on suspicion of breaking in to the school’s storage container where they stock candy and snacks for athletic events. During their interviews, the three confessed to several other burglaries in the Terra Linda, Marinwood and Santa Venetia areas, totaling seven incidents. “Essentially we helped solve seven crimes,” Buckley said. In one incident, the teens broke in to Buckley’s neighbor’s house but when the homeowner returned, they stealthily fled after stashing a laptop and vodka in the yard. Once they confessed, they returned with officers to the house to locate the items. Terra Linda and Marinwood neighbors first began their watch group in December after a wave of home burglaries in the area. At a meeting in February, retired San Rafael police officer Tom Boyd described these neighborhood’s as a “burglar’s paradise” because the properties are surrounded by open space and trusting residents are making it easy for crime with unlocked vehicles and open garage doors. The neighborhood watch’s website has been tracking incidents in the area to keep people informed. According to the website, a neighbor came returned to her home on Golden Hinde on Feb. 14 and found that the front door was pried open by a crowbar. Her Wii, iPad, iTouch, passports, several credit cards and other items were stolen. The site also lists a failed burglary in Marinwood on March 9, where suspects broke into a locked garage side door. When they discovered the 91-year-old homeowner inside, they cut the power and fled. In March, a man was arrested on suspicion of two gas station armed burglaries in Terra Linda. In one case, a Union 76 Station clerk attempted to fight the suspect and was struck in the head several times with the weapon. Although the meetings’ attendance dwindled since the first in December (the first meeting drew over 200 people when this week’s drew 35), the website has served the community well, Buckley said. 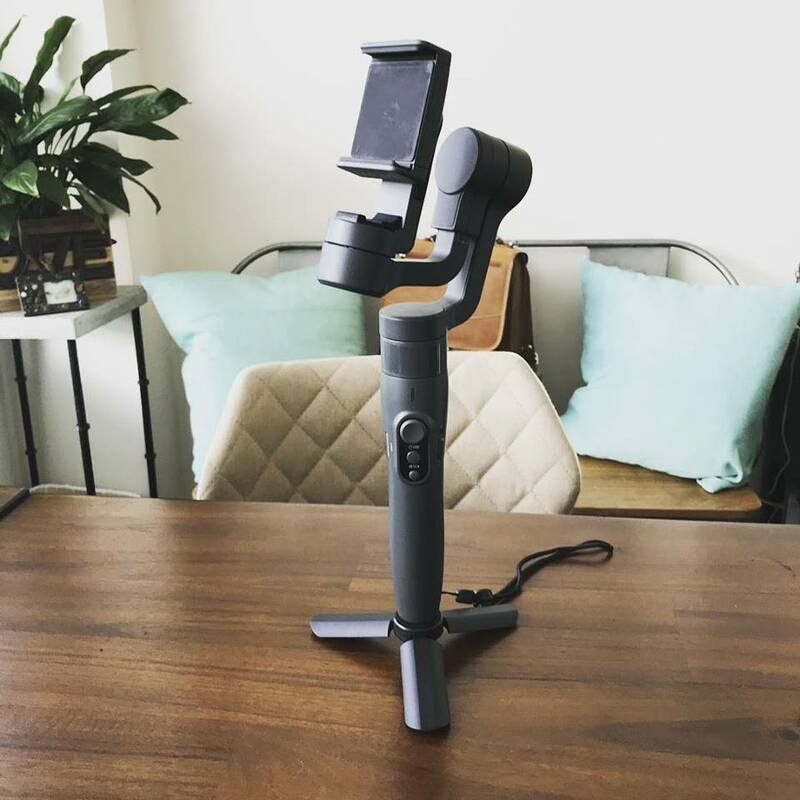 Some of the content garnered as much as 6,000 visitors, 12,000 page views and now over 250 people have signed up for email updates. “It just shows that the campaign is really working,” he said. The next neighborhood meeting will be in the fall and will address emergency preparedness. Rep. Joe Baca is aggressively spending money on his campaign for the newly redrawn 35th Congressional District, despite what observers say is a high likelihood he’ll move forward past the June 5 primary and into the general election. The San Bernardino-based congressman is far ahead in fundraising and spending compared to his main opponent, Gloria Negrete McLeod, who represents much of the district’s area in the state Senate. Baca has raised about $123,000 from Jan. 1 through March 31 and $527,000 since the beginning of the election cycle, according to quarterly finance information from the Federal Election Commission. He’s spent about $128,000 in the past quarter, but still has about $248,000. “You’ve got to show a clear picture between yourself and you can’t wait until the general election and allow momentum to shift from one candidate to the other,” Baca said. McLeod’s campaign, in the past quarter, has raised about $17,000 and has spent about $28,000. She has about $110,000 left in her treasury as of March 31. Efforts to reach McLeod for comment on Wednesday were unsuccessful. McLeod contributed $50,000 to her own campaign last September, with about $20,000 coming from PAC contributions and $80,000 coming from individual contributions since the beginning of the election cycle, according to the Center for Responsive Politics. 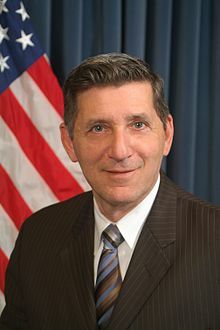 In addition to a number of individual contributions, Baca’s committee has received funds from the Pechanga Band of Luiseno Indians, the National Rifle Association, Upland-based Lewis Investment Company, and corporate political action committees including JP Morgan Chase, Exxon Mobil, Comcast, Coca Cola, and Univision. Observers expect Baca and McLeod’s money and name recognition to take them past the primary. New rules allow the top two vote earners in the primary to be on the November ballot. Green Party candidate Anthony Vieyra, a financial analyst from Pomona, said he has yet to begin raising money for his bid, but has expressed faith in web-based media and meeting people door to door. Wouldn’t it be nice if the canidates put some of this money into the local communities? That would sway my vote better than some wasted campaign mailer or video/tv add. Why are we last or never at the table? While writing this post it looks like Frank Montes and Edgar Montes are ready to sit down and plan out some local events. Follow us and be kept up to date on all of the upcoming information on events and goings on in our area. 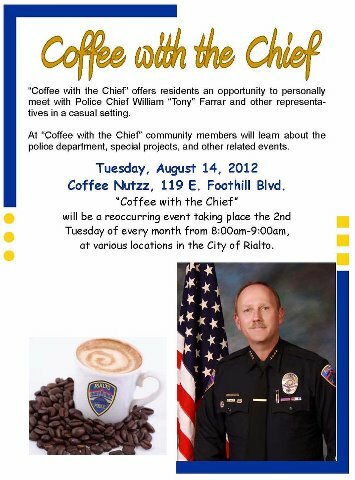 In Rialto we are almost always last at the table for fail to ever show up and its sad. We do have a beautiful community and were right smack in the middle of a ton of larger cities and we have the space and diverse population that would pull nice numbers for events. Not to mention 3 new schools and 2 others that are well-known and have a rich history behind them. Food Truck Events have been pretty exclusive to Ontario, Riverside, Corona, Orange and LA Counties best we have seen of the events was the extreme westside of San Bernardino County. Thanks to Keith Kahn local food truck advocate smaller and food truck events have been popping up more and more and now we have 2 very close to Rialto. Redlands and Rancho School Districts took advantage of slow-moving County legislators and are hosting events this month to help support school programs that require funding assistance. If it seems as if there’s another food truck festival every weekend here in the Inland Empire, it’s because there is one. 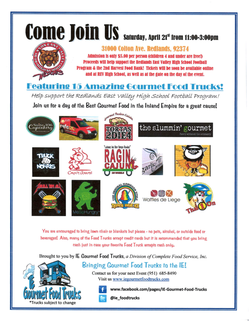 This Saturday (April 14), food trucks will be rolling in to Rancho Cucamonga for the Cougars Booster Club’s first food truck festival at Rancho Cucamonga High School, 11801 Lark Drive, Rancho Cucamonga. The event will take place from noon to 6 p.m. on the practice football field behind the school. Admission is $5. Kids five and under are free. An event flier promises DJs, live bands, a kids’ fun zone and 18 trucks. Even though gourmet food trucks are not yet able to operate on a daily basis here in the Inland Empire, the food truck craze is continuing to spread, with events here almost on a weekly basis. Redlands’ first-ever food truck event is happening from 11 a.m. to 3 p.m. Saturday (April 21) at Redlands East Valley High School, 31000 E. Colton Ave., Redlands. Our friends over at I.E. Gourmet Food Trucks have invited some of the best food trucks from L.A. and Orange counties to join I.E.-based Suite 106 Cupcakery and Cafe 2 U to tantalize your taste buds. With thirteen trucks scheduled to be in attendance, you’ll be able to satisfy whatever you’re craving, whether it’s a peanut butter/jelly/bacon/Sriracha burger from Grill ‘Em All, grilled cheese with a twist from Rebel Bite, a fried shrimp Po’ Boy from Ragin’ Cajun or a lobster corn dog from Slummin’ Gourmet. Admission is only $5, with proceeds benefiting the Redlands East Valley Football Program and Second Harvest Food Bank. Kids four and under are free. 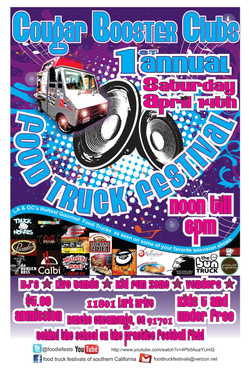 For more info on food truck events go to http://www.facebook.com/pages/Rialto-Now/231682450218024 for all the flyers and links to local food truck sponsors.